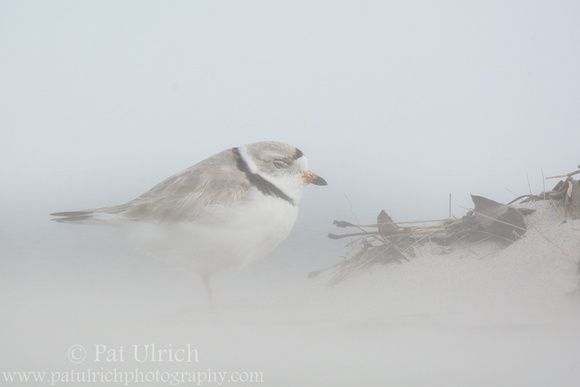 This piping plover wraps up my belated posts of the stories behind my five favorite photographs from 2017. In a typical year, the goal would be to blog about the photos long before the annual summary -- but I've ended up trying things in reverse this year. Anyway, it was a beautiful day on this late spring trip to Sandy Point State Reservation with moisture-rich clouds adding color to the sky and providing nice diffuse light and a handful of piping plovers scurrying around the beach. Really, it's hard to ask for much better conditions, at least between the intense gusts of wind blowing across the water. 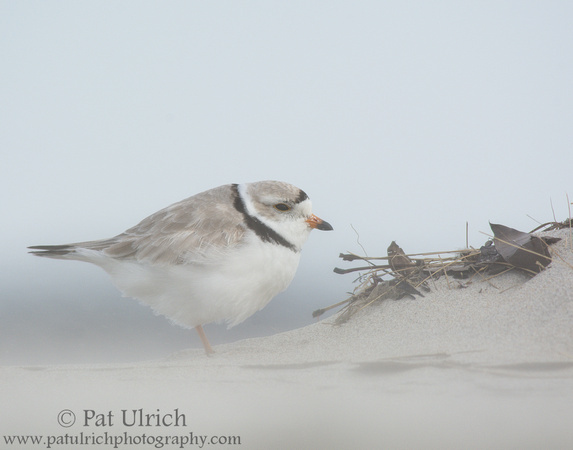 I was laying in the sand with this friendly plover, enjoying the chance to watch it rest and preen. But when the wind started to blow, the sand fiercely ripped around. While walking around the park that day, the sand steadily pelted my face whenever the wind blew. But while laying prone in the sand, I could really feel the intensity of the higher density of sand near the ground. While my sand blasting was optional, it was a hard lesson to realize that these tiny shorebirds have to deal with this every time a stiff wind blows! 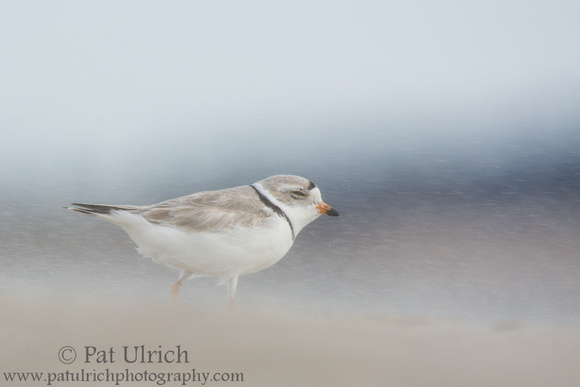 In this series of photographs, you can see how when the intensity of the wind picks up, the bird is heavily obscured by the sand, even from my relatively close observation point. It was apparently intense even for the bird, who closed it's eyes against the wind. I found the plovers to be fairly resilient though, as well as opportunistic in seeking shelter. I observed them scurrying behind any small windbreak they could find, including this tiny "dune" formed by a small collection of leaves and wrack. Eventually, this bird realized that it's wind break just wasn't cutting it, so it stepped out and leaned into the wind as it sought better shelter. I really love how this last frame came together -- with the stoic look of the bird boldly walking into the sandstorm against the streaks of individual sand grains -- leaving me with one of my favorite photos of the year. Hello! 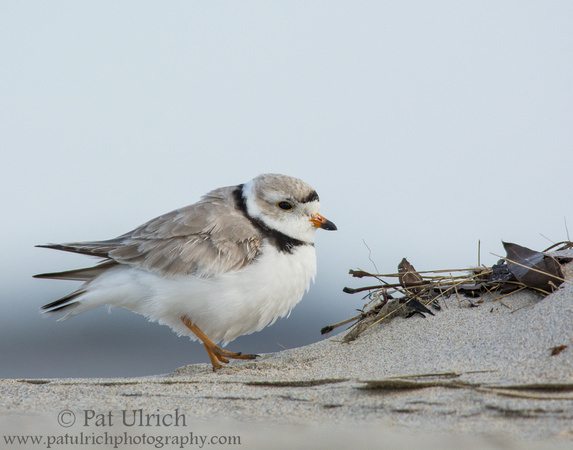 :) Beautiful captures of the stoic and very pretty Piping Plover. Thanks! They are fun species to photograph!